Infusing a unique aesthetic into familiar office elements, Medina™ captures the spirit of Italian design that fills any space with incomparable creative energy. 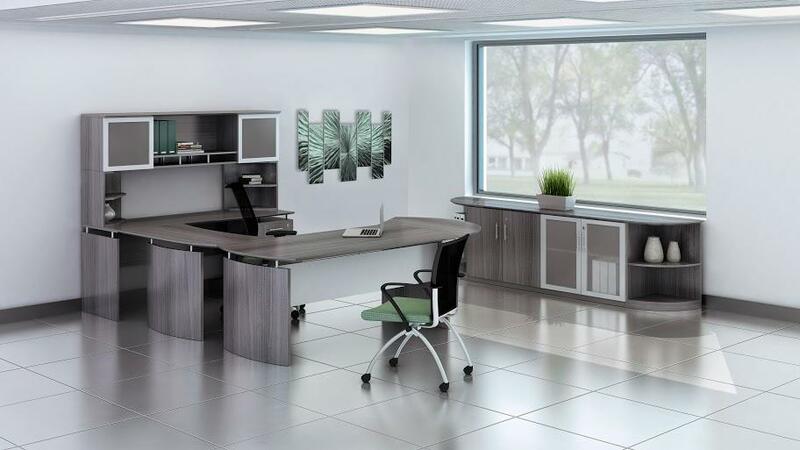 Medina™ offers a smartly edited choice of components to allow an ideal range of workplace configurations. Rich in texture and detail, the Medina™ collection offers five laminate choices including two textured laminates - all infused with inspiration to collaborate with other Mayline® furniture, and complement most any decor. I would like to receive pricing for the following item: Mayline Medina Executive Office Suite.